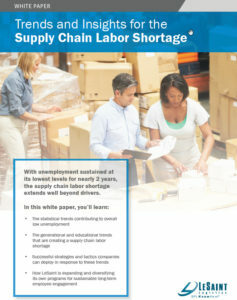 This blog post is the second in a series that explores trends and insights for the Supply Chain Labor Shortage. In a strong economy, workers hold most of the cards, a fact that is highly visible for warehouses. Warehouse workers may be easy to find but are they harder to retain? These are the hardworking individuals that make it all happen, the proverbial worker bees that do all the behind the scenes work before the product goes out to the end consumer. 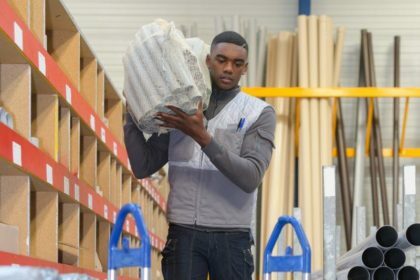 In a 3PL environment, warehouse workers can often make up the largest portion of the employee headcount. Call them warehouse workers, order pickers and packers, forklift operators, or material handlers – when all is said and done, they are the heart and soul of the 3PL industry. 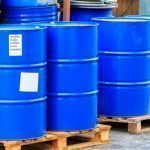 For any 3PL company that relies heavily on customer relationships, high employee turnover can be devastating. Constant turnover creates an environment where there are fewer experienced workers in the warehouse. That means that the pain is felt not only internally, but that it can directly affect customers – and harm business relationships. Yet, striking the balance when there is equally high pressure to keep costs low for the customer in a rising wage market can be tough. In fact, raising pay rates works in the short-term. Until the business down the street starts paying more on the hour – then the employees ‘follow the money’ and shuffle on to the next company. Where do benefits fit in? Immediately following the compensation question, prospective employees ask, “how are the benefits and how much do they cost?” With the sharp rise in healthcare costs, and many employers asking employees to pay increasing percentages of them, benefits have become as important as the pay rate. In fact, according to the Henry Kaiser Foundation – in the 2016 Employer Health Benefits Survey, on average, workers contribute around 18% of the premium for single coverage and around 30% for family coverage. single coverage and around 30% for family coverage. (2016 Employer Health Benefits Survey – Summary of Findings, 2017). In a world run by e-commerce, there are many available jobs that are less labor-intensive. Let’s face it – warehouse work is hard work. As new businesses pop up around smaller towns, or existing businesses increase volume, they are all competing for the same candidate pool. Employers not meeting the demand for lower-cost benefits and competitive pay must find other ways to retain quality employees. 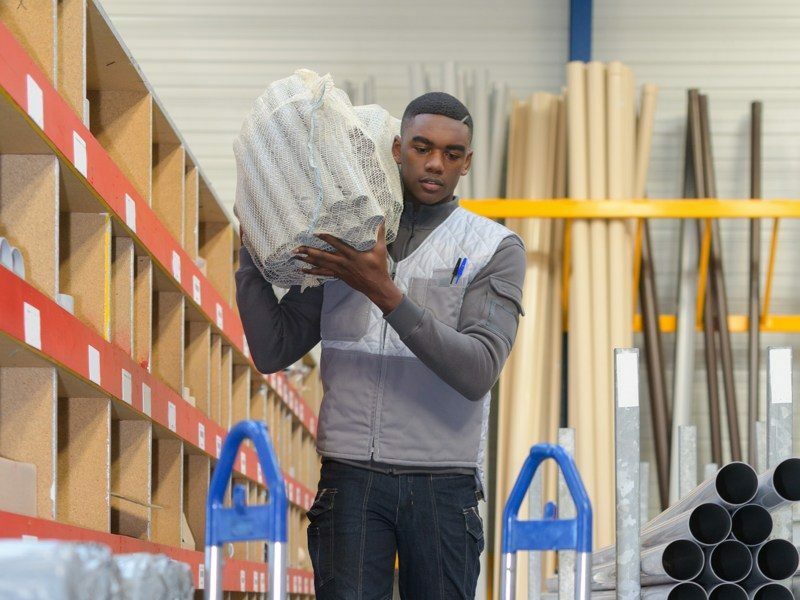 A survey by the Warehousing Education and Research Council found a majority of respondents preferred five days of paid time off over an extra dollar in their hourly rate – despite the latter costing the employer significantly more. 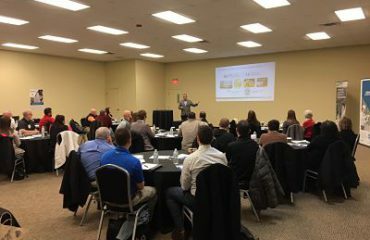 The symptoms of falling behind on the latest labor trends can range from higher costs of benefits and wages to mis-shipments and shipping delays to an increase in safety incidents or accidents. 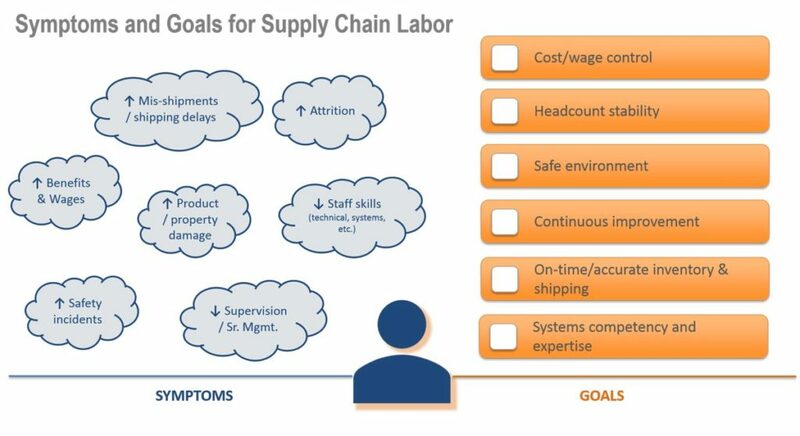 By now, you’re likely wondering how you can mitigate the impact of these supply chain labor trends on your business. In our next blog post, we’ll explore just that.